BRATISLAVA (September 24, 2015) – Prologis, Inc., the global leader in industrial real estate, today announced four lease agreements totalling nearly 11,000 square metres in two speculative facilities at Prologis Park Bratislava. 342 square metres of office space with PPA Power DS, an alternative energy supplier, in DC13. a 1,664 square metre expansion and an additional 118 square metres of office space with Textile House, a second-hand clothing retailer. The company’s total leased space is now 10,000 square metres in DC2. Prologis Park Bratislava is a state-of-the-art industrial park 24 kilometres east of Bratislava’s city centre, two kilometres from Senec and 16 kilometres from the international airport. It comprises more than 250,000 square metres of production and distribution space. 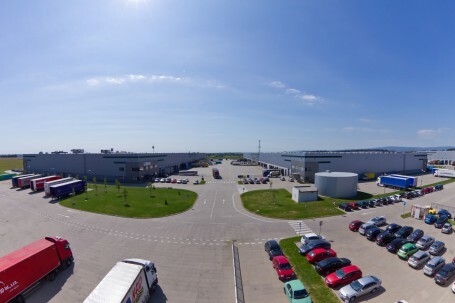 Prologis is the leading provider of distribution facilities in Slovakia with more than 478,000 square metres of logistics and industrial space (as of June 30, 2015).